Hotspot Shield by AnchorFree Inc. - Boost Your PC. If You are using the free Service, AnchorFree may deliver third-party Advertisements within the content of any web page accessed. Advertisements may be injected into the top of the page, inserted directly into the page content, or even displayed to overlay the page. A “hotspot” is a Wi-Fi connection access point. Usually this type of connection is public; therefore, it is completely insecure. Hotspot Shield allows you to create a VPN, or virtual private network, so you can transfer your data securely. When you access the Internet through such connections, you risk having your computer or mobile infected by a virus or even an intruder to enter your system. Moreover, the dangers exist that a malicious person can intercept your information and use it for unfriendly reasons. Download Boost and enjoy your PC. Remove Hotspot Shield from your PC. Why should I uninstall Hotspot Shield? Hotspot Shield has been seen to cause numerous performance issues in an number of PCs using Internet Explorer. Installs a Conduit toolbar in your Web browser that collects and stores information about your web browsing and sends this information to Conduit so they can suggest services or provide ads via the toolbar. Hotspot Shield has been seen to cause numerous performance issues in an number of PCs using Internet Explorer. Other programs by AnchorFree Inc. Files installed by AnchorFree Inc.
Hotspot Shield by AnchorFree Inc.
To the right of the list item, click the Uninstall button and Boost will completely remove Hotspot Shield from your PC. Use Add/Remove Programs control panel in Windows makes to uninstall Hotspot Shield. Follow the appropriate instructions below to use this control panel. Select Hotspot Shield from the list of programs, and click Uninstall. Alternatively, right-click the program and select Uninstall. Select Hotspot Shield from the program list, and click Uninstall. Alternatively, right-click the program and select Uninstall. Select Hotspot Shield from the list of programs and click Remove. 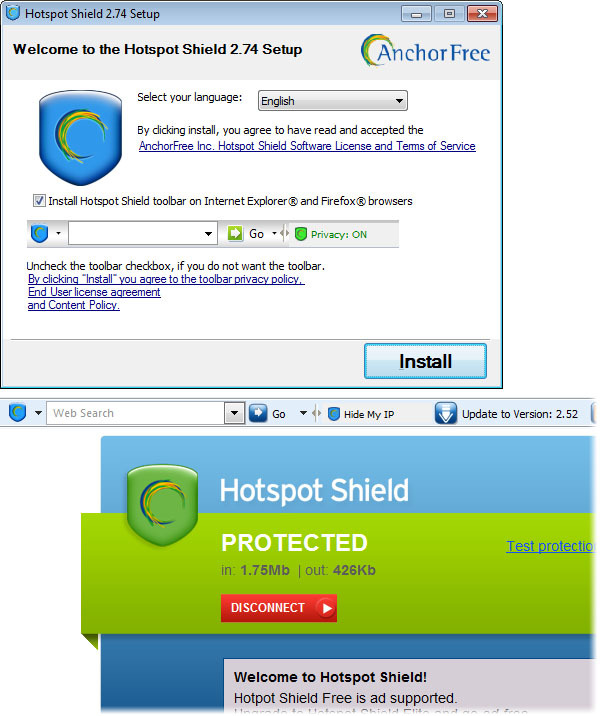 Boost helps you remove Hotspot Shield by AnchorFree Inc. and optimize your PC.